FLOWER SHIPMENTS: Data on boxes, flower type and number are linked to Air Waybill numbers by portal. Programs aims to increase efficiencies at Amsterdam Airport Schiphol through data sharing. Projects that fall under Amsterdam Airport data program include Pharma Gateway Amsterdam, and EU Green Fast Lanes. Shipments of flowers were traceable in real time in pilots from Nairobi to the Netherlands. Amsterdam Airport Schiphol is increasing trust and transparency in the supply chain by linking flower shipment data to Air Waybill numbers at source, part of its Smart Cargo Mainport Program (SCMP). The SCMP aims to make Amsterdam Airport Schiphol the Smartest Airport in Europe through increased use of data sharing and includes initiatives such as the Holland Flower Alliance Data Sharing Working Group, which piloted the scheme. Flower shipment data such as number of boxes, flower type, and number of flowers and stems in each box, is linked to Air Waybill numbers by the portal, which then generates a unique GLN code that gives all users access to all the data in one place. In successful pilots on journeys from Nairobi, Kenya, to the flower auction in Aalsmeer in the Netherlands, shipments of flowers remained traceable, in real time and on shipment level, throughout the journey, including both product and shipment information. The unique GLN code comprises of a shipment reference and an order code, creating a universally recognised format that cannot be duplicated and providing end-to-end visibility that each supply chain partner can access through their own internal systems. 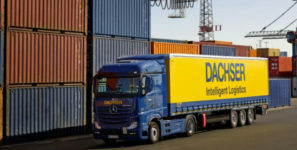 This provides each party in the chain with more information, earlier in the chain, so that they can track and trace shipments in real time along the whole journey, more effectively planning their own operation and reacting in real time to changes in circumstance. Holland Flower Alliance partners along with Kuehne + Nagel and Panalpina are now working towards user-friendly ways of presenting the data to the end customer. The portal was developed after consultation with the Cargo Community identified priorities for the perishable cool chain, with the ability to track and trace on box level from farm to auction appearing as a unanimous priority for all parties. “The portal also ensures that only authorised parties have access to sensitive data, increasing trust and cooperation, and encouraging further collaboration towards common goals,” said Koos van der Meij, Project Manager, Information Sharing Working Group. The SCMP aims to increase efficiencies at Amsterdam Airport Schiphol through increased use to data sharing, and projects that fall under the program include Pharma Gateway Amsterdam, and EU Green Fast Lanes.